As a Cornell graduate and completing my chiropractic doctor degree I opened a multi-Dr. practice, (over 20 years ago) including a medical Doctor that performs shots and diagnostic testing. With a fully equipped, modern office and a full array of treatment facilities and diagnostic procedures. We treat with a natural approach including manipulation, traction/decompression, ultrasound, electrical muscle stimulation and nutrition. Seven treatment areas are available, including four private rooms and a gym area for exercises and rehabilitation. X-Ray facilities and MRI facilities are directly behind ours. In our office, diagnostic testing includes electrodiagnostic EMGs (Physiatrist, Dr. Walter Gaudino, MD), blood tests, nutritional analysis .We conduct examinations, develope treatment plans, provide nutritional support and exercise instruction to prevent recurrence and get the patient on the road to recovery. 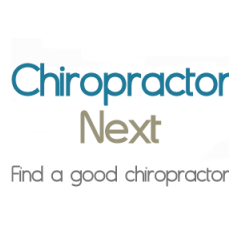 After completing my Bachelor of Science degree at Cornell University in 1975, I went on to New York Chiropractic College and graduated in 1980. In 1982, I opened up my practice at 289 Jackson Avenue in Syosset after returning from a two year internship in California. I teamed up with two partners, Dr. Carl Hardy and Dr. Bruce Levine and we practiced together until 2006, when I teamed up with a physiatrist, Dr. Walter Guadino, MD. As our patient list grew and our practice expanded, we needed to find a better location that would allow us to grow into different areas. In 2007, we opened our new facility at 175 Jericho Turnpike in Syosset. NY Chiropractic College, Cornell University.